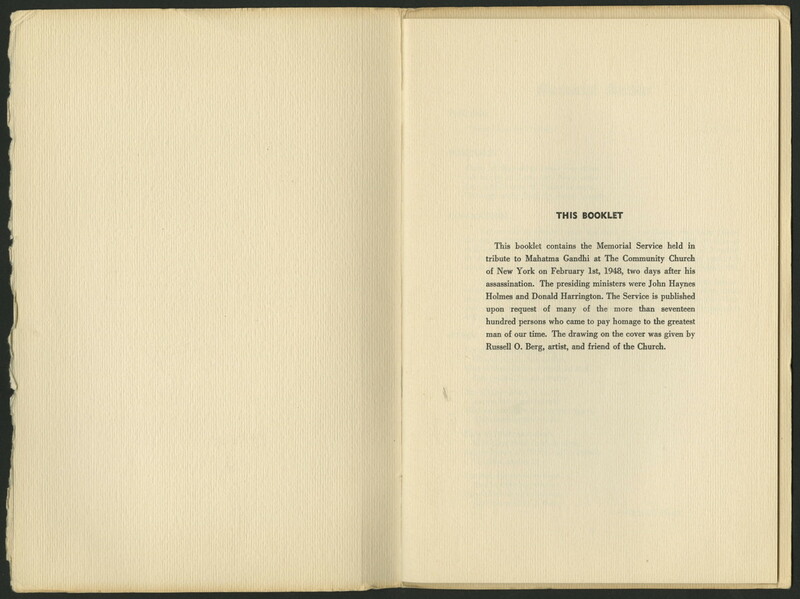 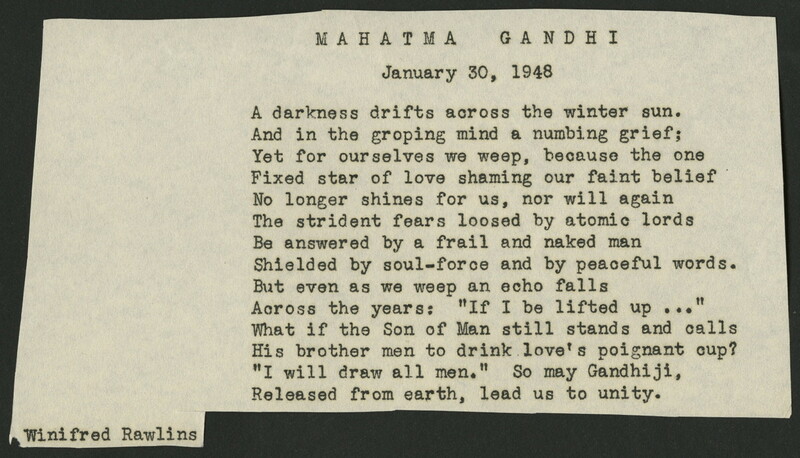 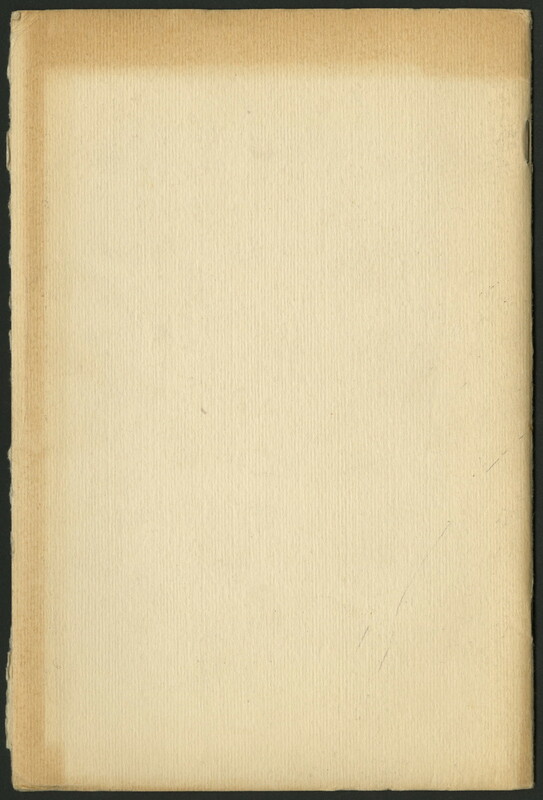 Booklet for the Mahatma Gandhi Memorial Service, held on February 1, 1948 at The Community Church in New York City. 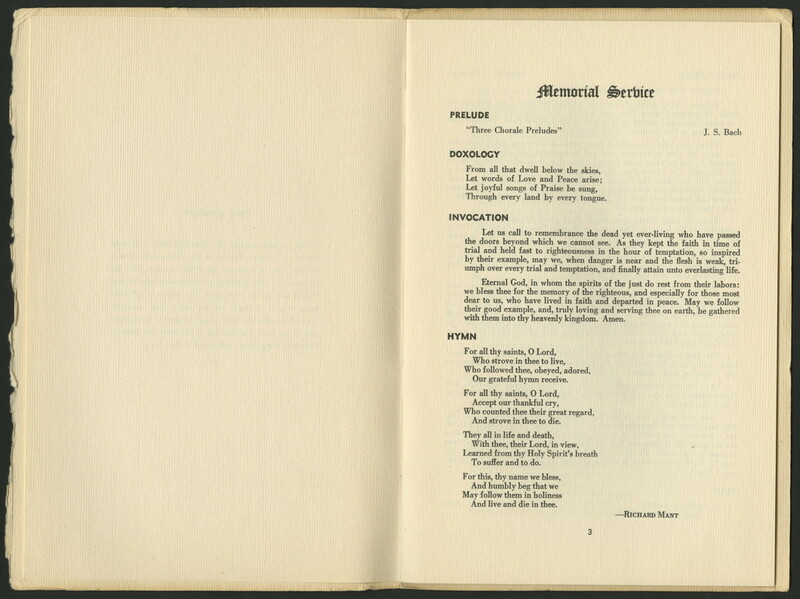 The service was presided over by Ministers Donald Harrington and John Hayne Holmes. 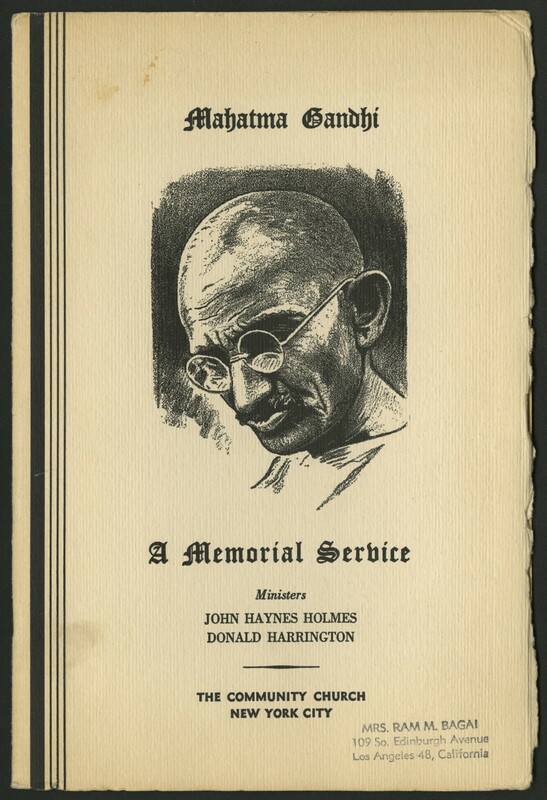 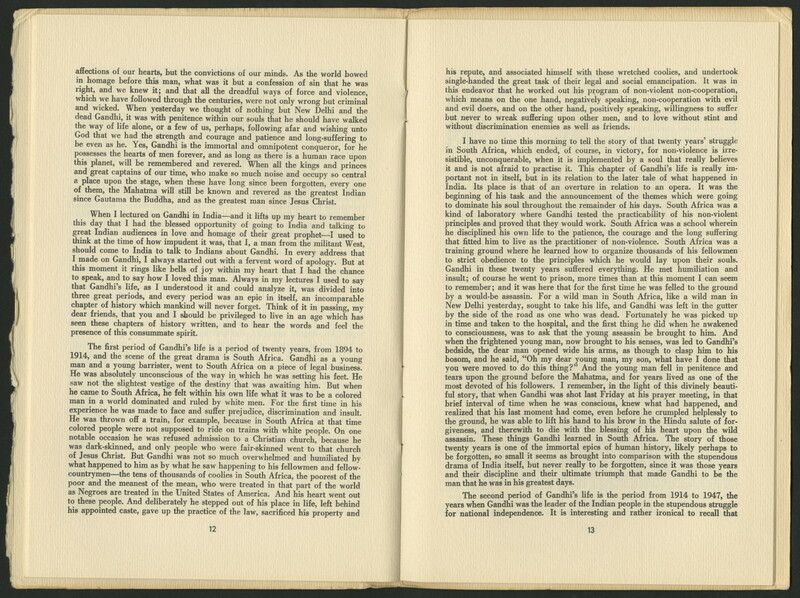 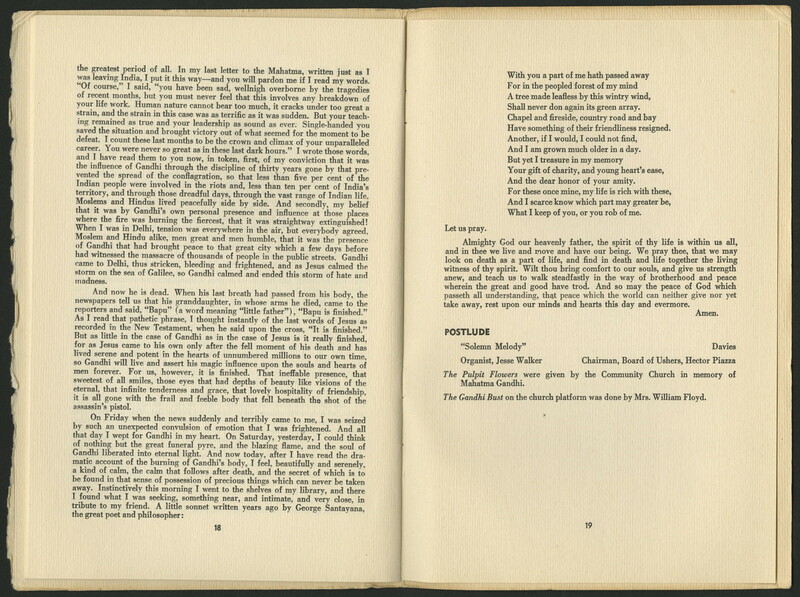 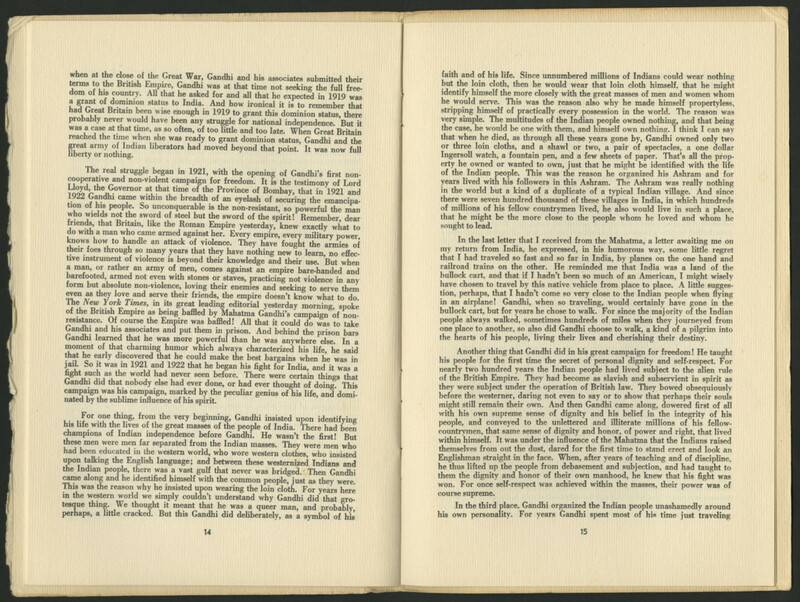 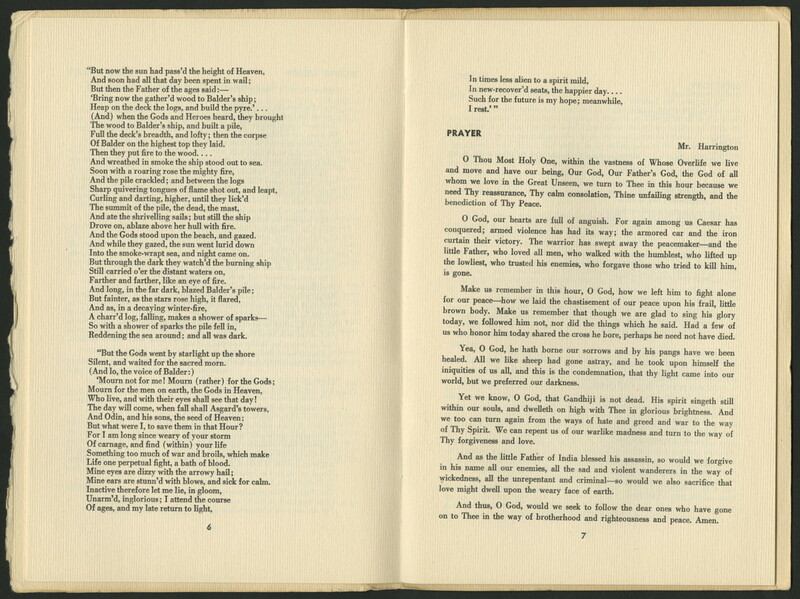 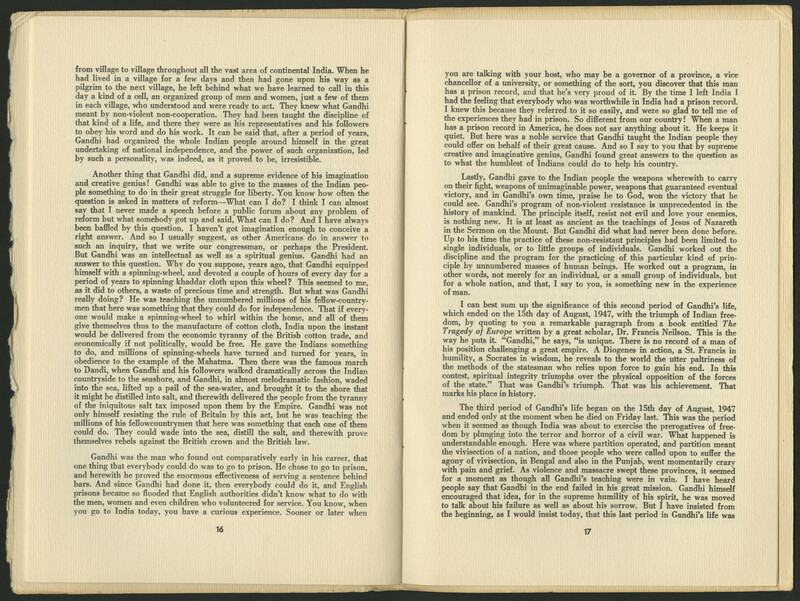 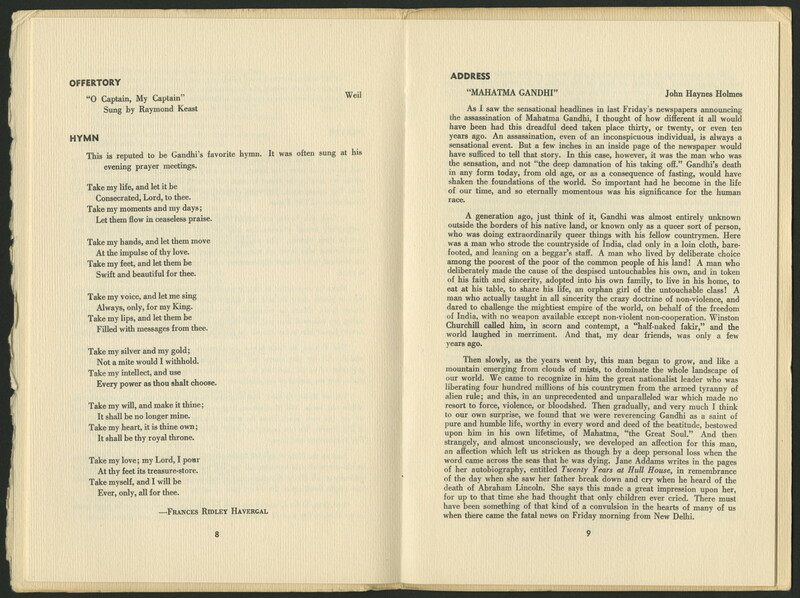 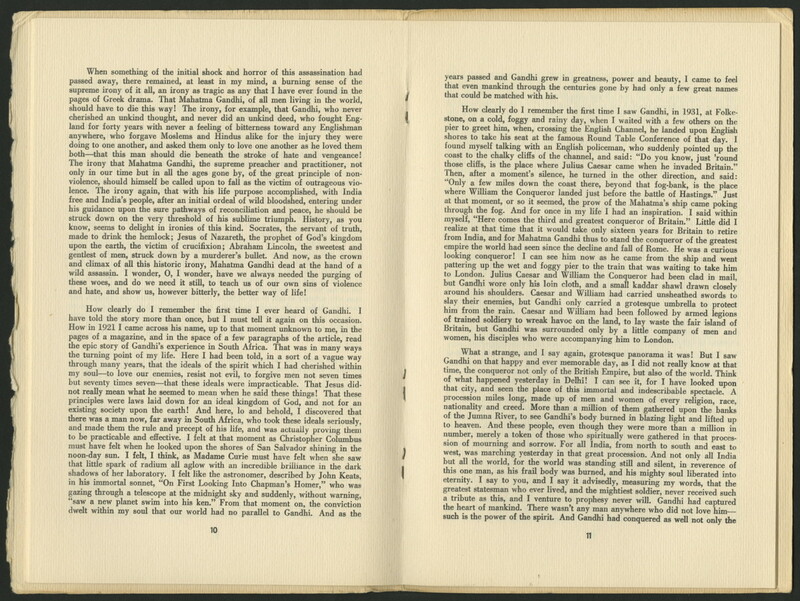 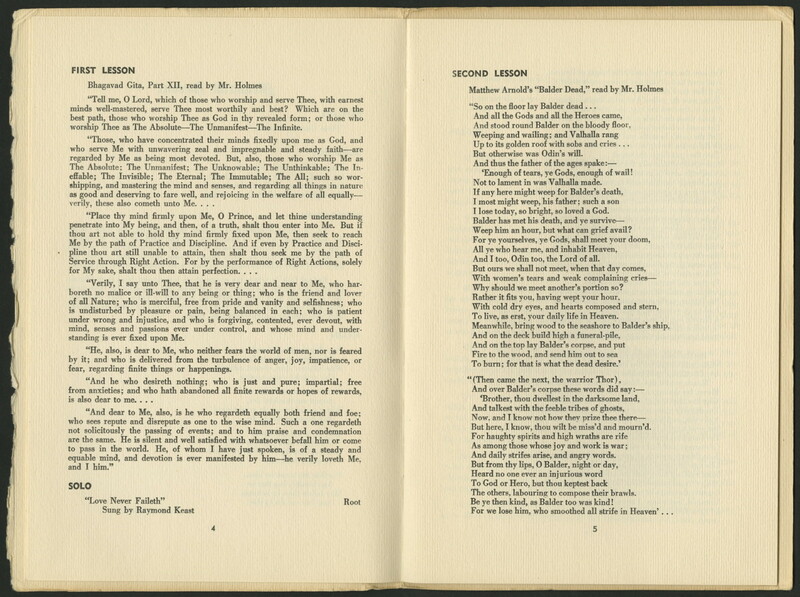 The booklet also contains a typed note with a poem titled "Mahatma Gandhi" written by Winifred Rawlins.